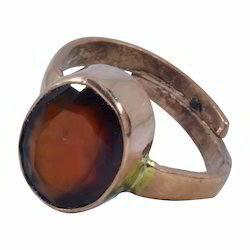 Manufacture & wholseler of a wide range og astrology gemstone ring. memory, analytical and intellect power. 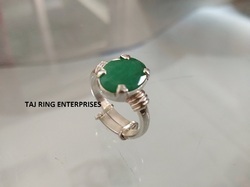 Person with weak and malefic mercury will face health diseases like stammering, imperfection of speech or tongue, defects in memory or intelligence..
Taj Ring Enterprises is one of the leading manufacturers & suppliers of an extensive range All kind of Gemstone Ring ,Brass Ring , Silver Ring ,Ashtdahtu Ring. The First benefit of the Pukhraj Gemstone is a Positive impact on wealth and Prosperity. Pukhraj Yellow Sapphire increase the energies of Jupiter thus increases Opportunities for income and leads to business expansion. It blesses with new opportunities and growth in life. 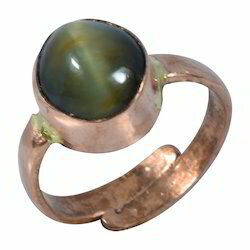 Cat's eye is the gemstone of Ketu. This gem, with its band of reflected light across the middle looks like the eyes of a cat. This unusual phenomena is called as Chatoyancy. Ketu also bestows wisdom, powers of discrimination and gyana - spiritual knowledge and knowledge of self. It gives psychic abilities to its natives and makes them masters of the healing arts, natural healing, healing herbs, spices, foods, tantric healing, healing of persons possessed by evil spirits, ghosts and astral forces. Red Coral or Lal Moonga / Munga is a Gemstone that is ruled by the Planet Mars, hot in nature and is considered to be a strong Gemstone for gaining positive powers of Mars. It is Deep Red to Orange Red in Color. It is said to encourage strength and courage of the wearer as in Hindu mythology it is considered to be the stone of Lord "Hanuman Ji". It is an Opaque Gemstone. Wearing Day: Tuesday at day time. Cautions: One should remove and get a new one if the Gemstone get cracked, In coral crack means breakage as Coral has black marks which are actually black holes. You should not wear Blue Sapphire, Diamond and Emerald along with Red Coral, unless a learned astrologer recommends so! 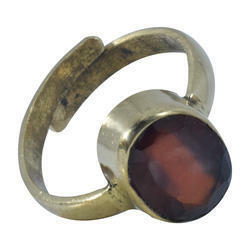 Gomed is the Indian name for the Gemstone Hessonite. Hessonite is a garnet derivative - it originates from a calcium aluminum silicate. Hessonite Gemstones is usually reddish orange or yellow orange. It's frequently referred to as the 'Rahu ratna' in India - because of its long standing association with the Vedic planet Rahu - a lunar node of intersection between the sun and the moon. The gemstone takes its chemical composition from grossularite. The Gomed Gemstones, when studded into rings or necklaces or bracelets as a part of jewelry, can unblock the Sahashara Chakra, which Rahu affects. It removes depression, obsessive thinking, skin and mental problems. The gemstone can also energize a person into thinking new ideas, and re-inventing a more refreshing way of life. Yellow Sapphire (Pukhraj) Natural Original Top Quality Lab Certified gemstone from Bangkok The stone origin (where it is mined from) is Bangkok. 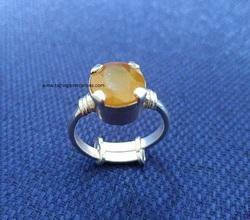 The stone is hence popularly also known as Bangkok Yellow Sapphire, Thailand Yellow Sapphire. Yellow Sapphire has many benefits. This gem is stated to be Unheated Untreated. The value of the stone is good considering its properties and effects.